Get up close and personal. Hunt the moose rut for your chance to stick a great bull. Big game hunting adventures in the heart of BC’s prime wilderness. Moose hunts starting at $5900. We will bring you to the species you're looking for. Our success rate is due to our experience and territory. We offer fly in hunts for the serious trophy hunters wanting to bag a trophy. Don't have everything on your gear list. 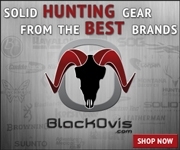 Everything you'll need for your next hunt is available right here...Buy the latest greatest hunting gear for your next hunting trip. Everything from socks to optics.